I received a copy of It’s So Easy and Other Lies through the Goodreads First Read program. As a longtime fan of Guns ‘N Roses, I was definitely interested in getting some inside scoop on the band and their inevitable breakup, and Mr. McKagan did not disappoint. It is his life story, beginning in his late childhood and traveling through the past to a positive and uplifting ending at the present day. 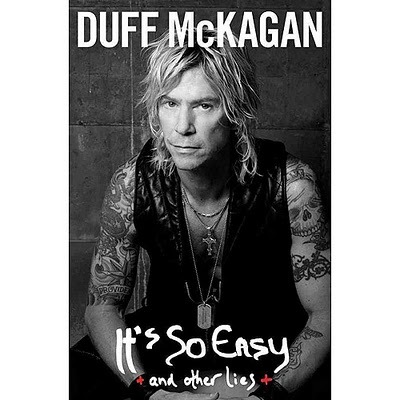 Like many musicians, and many of Duff’s friends, he dealt with a very serious addiction to drugs and alcohol. This book takes a very honest and raw look at how that affected every aspect of his life, and the steps he took to get out of that dark place. As much a book about recovery and addiction as it is about his ‘rock and roll lifestyle’, this book was a fast, engaging, and ultimately inspiring read. This entry was posted in book reviews, memoir and tagged book review, mckagan, memoir. Bookmark the permalink.